Wonderful waterfront walkways, stylish modern high-rise buildings, pretty parks, palm trees – this place really is very photogenic, very ergonomically designed, and very nice to stroll around; this place, btw, being the banks of the Yarra River in downtown Melbourne. Melbourne’s cool for helicopter excursions too normally, but the day we would have had time for one was the rainy day, so that was out this year. Melbourne’s also very cool for golf and other sports, parks, beaches… – everything for the active individual. Victoria, the state of which Melbourne is capital, is also called the ‘Education State’, though the locals we talked to weren’t too… enthusiastic about such a slogan, preferring some of the others: the ‘Garden State’, ‘On the Move’ and the ‘Place to Be’! Maybe those locals we talked to didn’t study at one of the city’s universities – which sure seem to be perfectly ok, and incidentally with which we collaborate on security-awareness initiatives. There’re are museums here in Melbourne too, but not all that many and they’re kinda modest affairs, so we were duly advised to stick to the straightforward ‘can’t go wrong’ category of micro-tourism: walkabout + river excursion! I could be mistaken, but… it seems to me that down here in southern Australia there are plenty of cultural-historical aspects; however, they’ve always passed me by. Any of you, dear readers, agree or disagree? This one’s a long way from home. Wait… I think I recognize this one… Ah yes – I snapped its twin in Bergen, Norway. Up above Albert Park (where the Formula One takes place) a warplane pilot shows off his aerial somersaults. 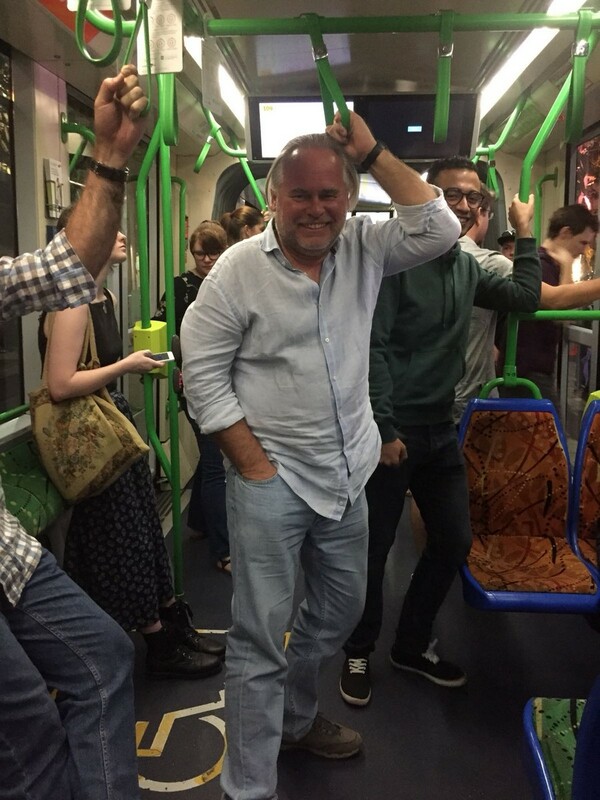 On this trip to Melbourne I experienced my first trip on public transportation – on a tram! Apparently you can use them free-of-charge in the city! Ointment defiler No. 1: Oz is soooo far away from practically anywhere. Even its neighbor Singapore is eight (8!) hours’ flight away. ‘Just over the pond and up a bit’ to Los Angeles takes 14 hours (I once flew Dallas – Brisbane), and a ‘quick hop over the southern Pacific’ to Santiago de Chile lasts 14–15 hours (I’ve flown there via Sydney)! So, you normally need a real good reason to be in Oz for you to be able to justify the looooong time it takes getting there. Flying there on a whim for, say, dinner, as you might extravagantly do with, say, Paris… it’s never going to work now is it? At least, not before Richard Branson launches his intercontinental Virgin, anyway. Ointment defiler No. 2: The Oz sun – it’s a killer, literally. Apparently it causes the most skin cancer for white-skinned folks in the world. So if you’re Caucasian – especially if you’ve pale skin, maybe inherited from Scandinavian ancestors – you really have to be careful here, and never spare the factor 100+. Incidentally, Oz is a leader in medical treatments for sun-caused ailments. Ointment defiler No. 3: High taxes & high cost of living. And you thought Western/Northern Europe had high taxes and cost of living? You ain’t seen nothing yet. At least, that’s through the prism of the software industry, the prism I know a bit about. Er, just let me put it this way: software companies here don’t go bankrupt; they don’t even bother starting up since their chances of survival are so low! Of course, there is a software business in the country, it’s just that, relative to the level of development of the economy as a whole (which is very impressive), software pales into insignificance. You heard about the Australian Silicon Valley? Nope, me neither. Ointment defiler No. 4: Internet speed. Oh my fail! Back to my software (rather, IT) prism… let me tell you how for seven years already an internet modernization program has been running nationwide around the country. The project calls itself the NBN and it’s already had almost 40 billion Australian dollars (~31 billion USD) spent on it! What?! Er, then how come it’s still 20 kilobytes per second? 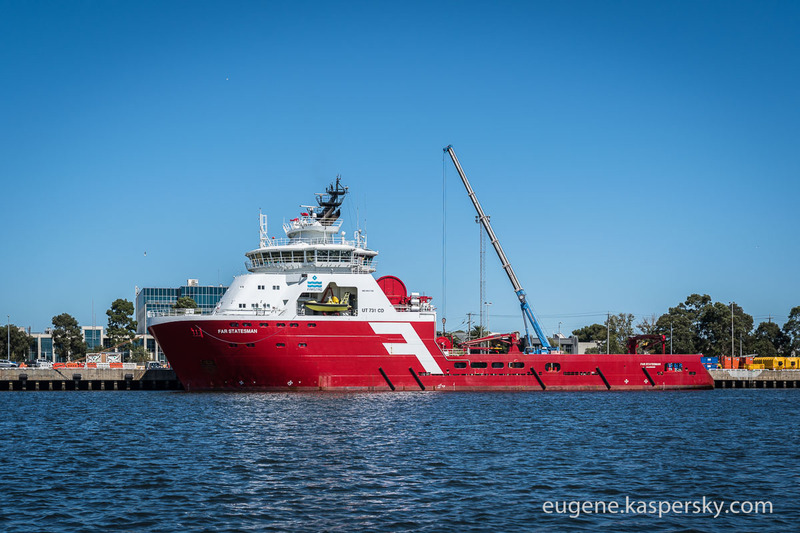 In Kamchatka via satellite it was quicker (now there’s a cable under the sea), while today internet speed on the peninsula is faster than in Melbourne in a five-star hotel! All the photos from Melbourne are here. Update! The race has finished – and we won!!! A great start to the season; keep it up!